The luminescent form taking influence from the traditional courtyard to develop the form of the apartment as if every room is built as a separate structure. 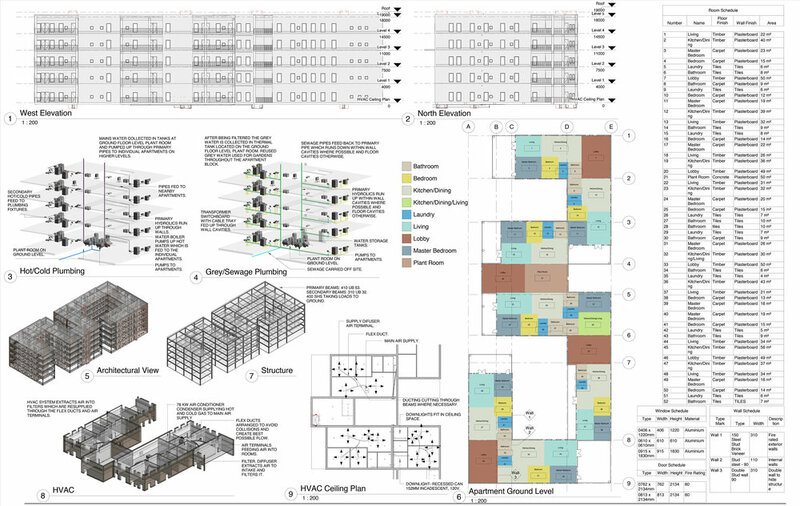 Creating light filled apartments, aiming for interior spaces that feel exterior, giving each inhabitant their own space but making sure they always meet in the middle, through common space. 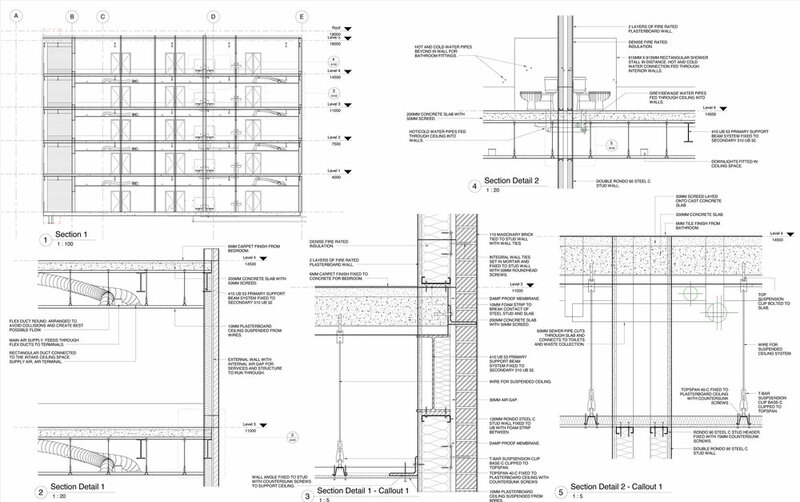 Wrapping entire walls of the steel structure in polycarbonate plastic, walls becoming windows and windows becoming walls. 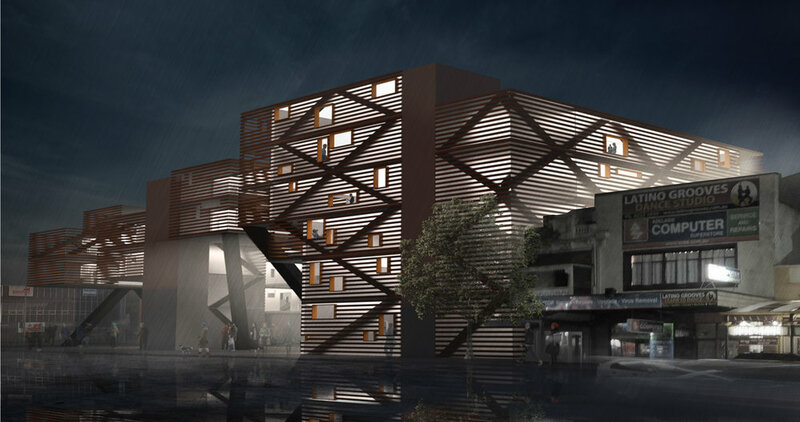 In response the translucent envelope, the apartment block glows at night almost lantern like with its timber slat skin. Residents cannot be seen from the outside unless standing directly against the walls.